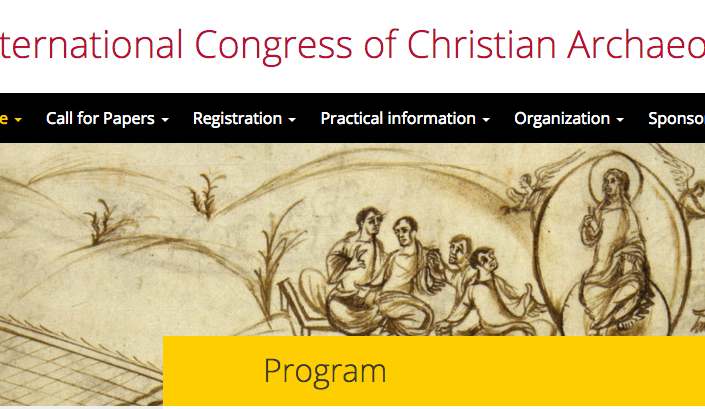 Communication from the organizers of the 17th International Congress of Christian Archaeology: "We have received a large number of interesting and promising proposals for most of the sessions. In order to guarantee an optimal balance between the subjects we have decided to extend our deadline for all sessions. Those who have not already done so but are interested in participating are encouraged to submit their abstract before September 25, 2017 using the form according to the instructions on https://ciac.sites.uu.nl/submitting-an-abstract/." The overarching conference theme is "FRONTIERS. THE TRANSFORMATION AND CHRISTIANIZATION OF THE ROMAN EMPIRE BETWEEN CENTRE AND PERIPHERY." For sessions and additional information about geographic and chronological specifications, please consult the provisional program at: https://ciac.sites.uu.nl/.